This luxurious and centrally located hotel provides the perfect base for holiday makers and business travellers. Within easy travelling distance of all the main sights and attractions, this hotel provides a comfortable and luxurious space to relax after a long day in Dublin. With a host of top quality facilities and services including city tours, concierge service and currency exchange, your Dublin experience is guaranteed to be enjoyable and memorable. Other facilities and services include an elevator service, express check out, hair salon, twenty four hour reception desk, spa, Wi-Fi and theatre reservations booking service. The guest rooms are all air conditioned and en-suite. They come with cable television, complimentary toiletries and tea and coffee making facilities. Each of the rooms also enjoy the convenience of a telephone, turndown service, internet access and a mini bar. Room service is also available on request. For the business traveller there is audio and visual equipment, board rooms, conference facilities, courier, fax and photocopying services. The beauty salon, gym and hair salon are open to all guests during your stay. Le Bon Crubeen is a casual dining establishment offering traditional Irish cuisine. With friendly staff, an extensive wine list and mouth-watering dishes on offer, this restaurant is a top choice with couples, families and business people alike. 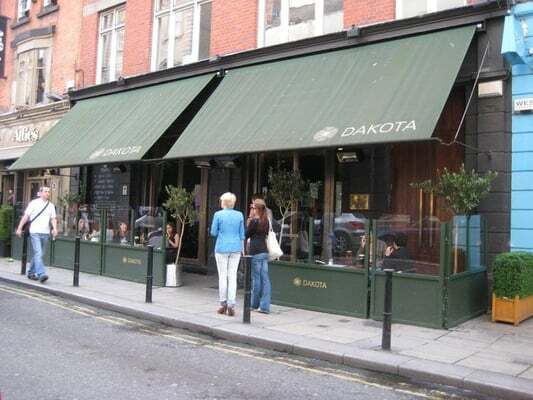 Dakota Bar is a place where you can go during the week to enjoy a relaxed drink. On weekends the bar livens up into a music venue and attracts people of all ages. Dublin Falconry is an experience for the whole family. From the fantastic flying displays to learning more about these interesting birds and the hawk walks to the eagle tours. Suitable for all ages. Why not have some fun at the Leprechaun Museum and learn a bit more about this Irish folklore. Visit Darkland and have a magical and romantic experience in the heart of Dublin. St Patricks Cathedral is an absolute must if you’re looking for a cultural experience in Ireland. This cathedral dates back to 1220 and is rich in history. An architectural delight, the cathedral offers guided tours from Monday through to Saturday each week, ensuring you learn as much as possible about this spectacular building. St Stephens Green Shopping Centre is very popular with locals and holiday makers. With over one hundred shops and a choice of interesting gothic and alternative boutiques, this is a retail therapy experience that cannot be missed.